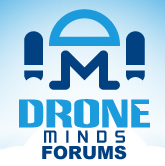 Discussion in 'General Drone Forums' started by photojunky, Jun 28, 2018. I connected two 3S batteries in series to equal a 6S battery. The total cost was $54 dollars, half as cheap as the big 6S. The two smaller batteries were also lighter and used less voltage over 9 minutes. The 6S battery was a little older so the test is not completely fair as far as flight time, but the cost of the two smaller batteries was much cheaper. When you try this one did you encounter any problem or it's just work 100% functional? Four 15 minute flights approximately with no issues yet. It is not uncommon to see people hooking up batteries together in series or parallel. What about exceeding the 15 minutes flight? what will totally happen? photojunky is totally great he is doing a lot of things with his own ideas. Thanks, after 15 minutes? Don't want to push it. I've had a couple fall from the sky. What's your worst fall? how's your drone after the accident then? Are you not tired of repairing your drone again and again? You mean again and again and again. It was actually 3 crashes but only this one was bad. Yeah, definitely tired of rebuilding it, but on the bright side, I have learned a whole lot and have had a lot of fun doing it.